How To Save Money On Your Home Phone Bills: Call Packages, Free Calls And More - Which? 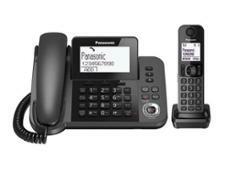 Cut the cost of using your cordless home phone with our expert advice on call packages, line rental and free calls. No one wants to overpay for a product or service, especially something as essential as a landline. In our 2017 survey of more than 4,000 Which? members, 58% said they wouldn’t be without a landline, and those surveyed used their cordless phone every day (40%) or most days (35%). 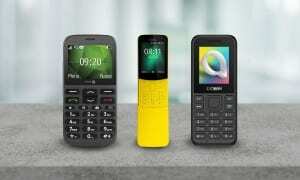 Our rigorous cordless phone tests identify the best home phones, so you can find one that suits your needs and your budget. But it’s also crucial to choose the right line rental package to make sure you don’t overspend on calls. This guide explains what you'll need to consider when choosing a package, and how to make free phone calls using VoIP technology, also known as wi-fi calling. After an inexpensive but excellent cordless phone? 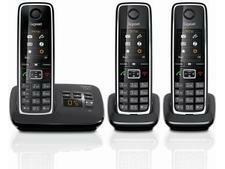 Head to our Best Buy cordless phone reviews to find recommended handsets for just £25. To find out whether you've got the best call package for your needs, study your last few bills to see what type of calls you make, when you make them, and whether they’re included in your current contract. Itemised billing should make it easy to see at a glance what you’re spending – scan down the list and work out which calls are costing you more. They could be premium-rate numbers, calls abroad or calls to mobiles. If you make calls at times of day or to numbers that aren't included in your package, you could talk to your provider about moving to a different deal. 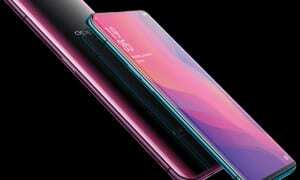 But there are other things to consider, such as whether these sorts of calls represent your typical phone use and whether they could be made for free. Conversely, you might be paying a monthly fee for a call package you're not using, or you might not have a call plan at all. It’s worth looking around at line rental deals, and either haggling with your current provider or switching to a new one entirely. Take a look at our guide to haggling for the best broadband deal, which offers advice that also applies to negotiating a new landline package. Remember to factor in call costs if calls aren't included with the line rental. Some cheap phone line deals come with higher per minute call charges, which may end up costing you more if you use your landline frequently. Below you can see the typical cost for adding a call package with BT, Sky, Utility Warehouse and Virgin Media, and the costs you might expect to pay outside the inclusive call times. 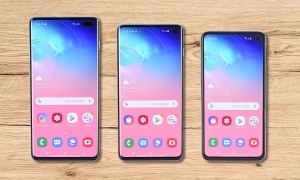 As you can see, there's a fair bit of difference in price between landline calls outside inclusive times, calls to mobile phones and and also to service numbers, which are calls to companies and organisations. These costs can add up, so check how much your typical usage would cost you per month. Look at previous bills to find out when calls are commonly made and to what numbers, and consider opportunities where it might be better to use a mobile phone. What you save on a landline call package could be used to bump up your mobile phone bundle - perhaps even to include unlimited calls. Remember to check which optional features come with a fee and which are free. Caller display, for example, can amount to an extra £27 added to your yearly bill if you're with Virgin Media, as they charge £2.25 a month for the service. For BT this is free for the first year, then £1.75 a month thereafter, but if you're with Sky it's free entirely. In addition to changing providers or switching call packages, there are few other ways you can slash the cost of your landline phone bill. Check what your provider classifies as peak and off-peak. This can be subject to change, but evening calls are usually classified as from 7pm onwards with BT, Virgin Media, TalkTalk and Sky. But if you’re with the Post Office, off-peak is from 6pm onwards. Put down the phone and redial after an hour. Remember that even if you have free unlimited calls at certain times of the day, you have to hang up after the first hour and redial the number to avoid being charged for that call. Pay by direct debit and opt for billing online. Almost all providers will charge extra for a paper bill, and it often costs more to pay by cash, cheque or any of method of payment. In some cases, if you pay your line rental upfront, your provider may offer you a discount overall. Find out if you qualify for a basic, low-cost tariff. Some providers, such as BT, offer a social tariff for those who are struggling financially or suffering from a disability. It’s a basic package, but it costs a lot less than standard deals. They aren’t always advertised, but it’s worth contacting your provider to see if they're available. Know what numbers are included in your provider’s inclusive calls. Ofcom has capped charges for certain phone numbers, but some are still expensive to dial. Check whether your provider will charge you to dial services numbers like 0870, 0845 or 0908 numbers, or you could be in for a shock when you get your next bill. Use a mobile. If you have enough free minutes left, it can often be better to call using a mobile phone, especially if you're calling another mobile. This can often cost more from a landline, but similarly check to see which service numbers are included. Find an alternative number. If you need to call a company with a premium rate number, you could try finding an alternative. Websites such as SayNoTo0870.com allow you to enter the number or name of the company you're trying to call, and will search for an alternative that should be included in a call package - both on your landline and on a mobile phone. Consider whether you need expensive extras. Some landline services may be important to you and are worth paying for, but check how much you use and how your provider charges for add-ons like call waiting, caller ID and call forwarding, and whether you've been signed up to them by default. Some cordless phones can wirelessly connect to your broadband using ‘voice over internet’ (VoIP) technology, enabling you to make free or very low-cost phone calls using an internet connection. If you make a large number of overseas calls from your landline, you could cut your phone bill in half this way. 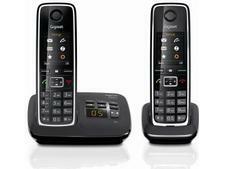 The Gigaset CL705A Go Sculpture and the Gigaset S850A Go both wirelessly connect to your broadband for VoIP calls. 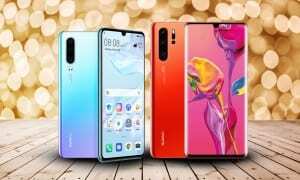 Alternatively, you could get an internet phone adaptor, which connects to your broadband router and cordless phone, enabling you to use your existing handset. You may be able to make calls from a mobile phone using wi-fi. Wi-fi calling will give you better call clarity in areas with a poor signal, but you need a strong wi-fi signal and a compatible mobile phone to do this. All of the 'big four' providers (EE, Three, O2 and Vodafone) support this technology at present. Unfortunately though, any wi-fi calls and wi-fi texts will be deducted from your monthly allowance so they're not strictly 'free' as such. But if you want to find out more, call your provider to enquire whether it has to enable wi-fi calling for you, and whether your phone is compatible. If you're not with one of these providers, or have an incompatible smartphone, all is not lost. Apps including WhatsApp, Skype and FaceTime allow you to make voice and video calls for free, or for a very small cost. This can be great for calling abroad, or for making long calls to friends or family that would otherwise cost extra on a landline. It's one of the best ways to avoid paying for a landline call package you won't use. Bear in mind that to make these calls, both you and the recipient need to have the same app, and ideally you'll make these calls over wi-fi. If you're using your phone's data, it could eat up your bundle allowance quite quickly, especially if you're making video calls. If you're on the hunt for a new smartphone, browse our Best Buy mobile phones.